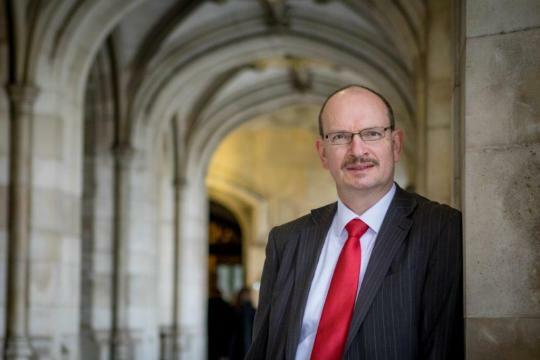 Throughout human history people have celebrated the end of the old year and the beginning of the new, writes Sandy Martin MP. In the Northern Hemisphere this is the time when the days stop becoming shorter and the sun gradually starts to rise earlier and earlier again. For Christians, this is the time to celebrate the birth of Jesus but, whether or not you are a Christian, most of the Christmas message rings just as true for all of us. It’s worth remembering what the Christian story of Christmas is, because it is actually quite remarkable, and not at all what you would expect from an establishment religion. Mary was pregnant, Joseph was not the father, but he married her anyway because he loved and respected her and wanted to protect her from criticism. They had to travel to another region, where they were homeless, and ended up living in a stable, where Mary gave birth. They were visited by shepherds – some of the poorest and most underpaid people in society at the time – and Kings (or Wise Men) who brought expensive gifts, and they treated both sets of visitors with the same level of welcome and respect. They fell foul of the political regime and had to flee as refugees in order to save their lives. Eventually they got back to their homes where Joseph established himself as a craftsman. You may or may not believe this story, but it doesn’t sound to me like the sort of story that someone wanting to establish a new religion would just make up. But whether you believe it or not, the message that it has for all of us is powerful and important. Do not judge people whose lives have been different from your own. If a young woman becomes a single mother it may well be as a result of circumstances which you have never had to live through – she deserves our support and help, not unthinking condemnation, and so does the baby. If people are homeless that is at least as much a reflection on the unreasonableness of our society as it is on their own lives. We must do everything we can to help the homeless, and work towards a situation where nobody needs to be homeless at all. In the short term, that means supporting organisations like Ipswich Housing Action Group (IHAG) and the Salvation Army. I am pleased to have been able to help IHAG at the Great East Run this autumn. And I am delighted to be able to support FIND – the food bank for people who cannot afford to feed their families. FIND is currently helping record numbers of families in Ipswich, and needs as much financial support as it can get in order to be able to move into new bigger premises in the New Year. I feel sure that East Anglian and Star readers will help them reach that goal. In the longer term, it means lending our voices to the calls for more affordable housing, for a higher minimum wage, for a less punitive benefits system and for better advice services so that people don’t get into the situation where they are homeless in the first place. I will carry on advocating for more housing for the most desperate as well as supporting the Borough in providing more affordable housing for young families. I urge the County Council to think again about cutting support for the Citizens Advice Bureau – the 6 month reprieve is very welcome, but actually they need to know that they will have a full year’s funding again next year, otherwise they will no longer be able to keep on the expert advisors who have helped so many people stay out of abject poverty. And we all need to learn to be more tolerant and accepting of people who are different from ourselves. That doesn’t mean offering “open door” to all and sundry, but it does mean recognising that those who have fled from persecution and civil war are human beings like ourselves, and giving them the welcome and support that we would want to receive if we were put in the same position. And if we support them now, they will probably contribute positively to our town in the future. I believe that Ipswich is, for the most part, a tolerant and inclusive town. At this time of goodwill to all, let us show that, by being more helpful, more friendly and more supportive, and sharing the joys of Christmas with all.